BRUSSELS, Belgium, 2018-May-15 — /Travel PR News/ — Park Inn by Radisson, the upper midscale hotel brand that delivers stress-free experiences, good food and upbeat environments, is proud to announce the opening of Park Inn by Radisson, Istanbul Odayeri. The latest opening for Radisson Hotel Group takes its portfolio in Turkey to 20 hotels and more than 3,500 rooms in operation. 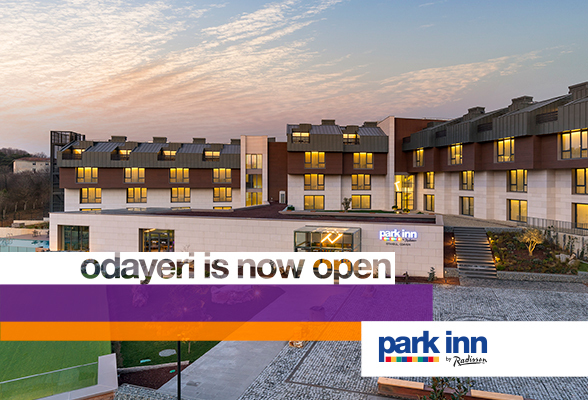 Park Inn by Radisson, Istanbul Odayeri is located in a developing neighborhood on the European side of Istanbul. The hotel is just ten minutes from the site of the new international airport and is less than an hour’s drive from Atatürk International Airport. Situated in lush surroundings, the hotel is next to a modern residential area that includes Istanbul Golf Club and Kemer Country Equestrian Sports Club. Nature lovers will appreciate the surroundings, with the Forestanbul outdoor activity and adventure park and Ayvad Bendi National Park all close to the hotel. For dining options, the Garden restaurant uses local produce to serve a selection of international dishes with only the freshest ingredients for breakfast, lunch and dinner. The Lobby Lounge is the ideal space for a refreshing cocktail, tea, coffee and snacks. Park Inn by Radisson Istanbul Odayeri will be managed by Radisson Hospitality AB. This entry was posted in Hospitality, Hotels, Travel, Travel Management, Travel Services, Travelers and tagged Istanbul Odayeri, Park Inn by Radisson, Tim Cordon, Vefa Celik. Bookmark the permalink.